Buying a Home? Selling a home? Be Informed! In my previous article I discussed the importance of rental contracts and knowing what they say. 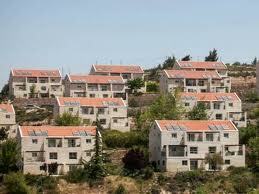 This time I would like to discuss some of the issues related to purchasing a home in Israel. The following are a number of important points to work out prior to the purchase: How much can I afford? What is the actual price of the apartment including all fees and taxes? What kind of mortgage is right for me? How do I make an offer? What are the steps in the legal work of buying property? The first thing you need to figure out is how much you can afford. You will need to look at how much money you have available yourself, how much you can borrow if any from family, and what kind of mortgage payments you would be able to make every month, should you choose to take a mortgage. This is a very important step – do not skip it. Get all the numbers down on paper rather than just floating in your head. Once you have your complete financial picture on paper, things will be clearer than they were before. Now let’s take a look at some additional costs and expenses you should know about. Before you decide how much you can spend, you need to know about several additional costs. In comparison to the price of the apartment, these sums are really quite small, but knowing about them in advance will prevent unpleasant surprises. First, there are three tax terms you should be familiar with: Purchase tax –Mas Rechisha, Capital gains tax- Mas Shevach and a municipal tax called Hetel Hashbacha. The first applies to the buyer and the next two to the seller. Purchase tax applies to the buyer. There is a difference between first time buyers (referring to someone who does not currently own a home in Israel) and those who already own a home in Israel. Currently a first time buyer will pay as follows: Up to a bit over NIS 1.4 million, no tax is required. If the price is over NIS 1.4 million, the tax is between 3.5% and 5% of the difference, i.e. if you buy an apartment for NIS 1.8 million, no tax on the first 1.4 million, 3.5% on the next NIS 280,000, and 5% on the rest. If you already own an apartment and are now buying a second, you will pay between 5% and 7% from the first Shekel. These approximate amounts will change from time to time, sometimes in your favor. Capital gains tax may be imposed on the seller in case of profit gained from the sale. A very common exemption from this tax is that once in 4 years, one can sell an apartment without paying capital gains tax. So if you haven’t sold an apartment in the past 4 years, this exemption will most probably apply to you and you will not have to pay this tax. The last of the three taxes is Hetel Hashbacha. This tax is imposed by the municipality, as opposed to the other two which are paid to the government tax authorities. This tax may apply to the seller in a case where the value of his property has risen as a result of recent zoning changes (i.e. granting of building permits, building of a new park, etc). A seller should find out in advance, before the signing of the contract, if he will be required to pay this tax, as he must take it into consideration when setting the price. Additional taxes may apply if the transaction involves a company, building rights or undeveloped land. Arranging a mortgage takes time. It can take between 4 and 8 weeks from the application until the money is available (and don’t let any bank tell you otherwise). The bank will want to have the property appraised, to make sure they can get their money back if for any reason you stop paying your mortgage and the house has to be sold again. Mortgages can be complicated, as there are many different types, and you must figure out which one is right for you. For instance, do you want a Dollar mortgage or a Shekel mortgage? Do you want your loan linked to the Dollar or the Madad (index)? Do you want a fixed interest rate? Do you plan to pay it off over 20-25 years, or do you hope to pay it off sooner? Normally a bank in Israel will give you up to 65% -70% of the value of the property. Sometimes you may be able to get up to 80%. Some banks charge a filing fee of about NIS 4,000. In addition there will be fees for registering a lien (Mashkon), registering a note of caution (He’arat Azhara), and getting a notarized power of attorney, all in the bank’s favor, which may total about NIS 1,500. The bank will also require that the buyers get life insurance, and make the bank the beneficiary. Today there mortgage agencies (brokers) who can help you through the mortgage maze and even get you better deals, for a fee of 1% of the loan. Prior to signing the contract, I recommend having an engineer check out the condition of the property and give you a written report, including estimated costs of things that should be repaired. If you are buying a free standing house (a Villa) as opposed to an apartment, this is a must. This may cost approximately NIS 4,000, depending on the size of the property. If you are using a real estate agent, their fees are 1% to 2%. Legal fees run between 0.5% and 1.5% of the sale price (plus VAT). This fee does not include litigation, if chas veshalom, a dispute occurs which requires litigation. Buyers often ask about using the same lawyer as the seller. This is not recommended. The lawyer’s job is to protect his client’s best interest. This job will not be easy if he is representing two opposing sides of a deal. So long as the deal is simple and going smoothly, it can sometimes work. But again, if a dispute arises, the lawyer will not be able to represent you properly. If the price in the contract is in Shekels, it is often linked to the Dollar or to the Index – the Madad, which may mean a Shekel increase of 1%–2% per month. If you’re buying a new apartment from a Kablan (builder/contractor), which is in the process of being built, the payments are always linked to the index. Since the contract period (the time while your apartment is being built) may span a period of 2 -3 years, you must be aware that the price in the contract will be going up little by little until you complete the payments. In addition, you must pay 1.5% for the Kablan’s lawyer, aside from your own, as strange as this may seem. When you decide you would like to buy a particular apartment, you do not necessarily have to pay the price being asked for it by the owners. You can always try making an offer for less. If the property is being sold through an agent, you should tell the agent what you are prepared to pay and have him or her put this offer to the owners. In fact, the agent, who wants the sale to be made, should be able to advise you what the seller is willing to settle for. If the owners do not accept your first offer, you can make a higher offer. There is no limit on the number of times you can make offers on a property. Of course if there are others interested in the property, your offers will have to compete with theirs. If you are not taking a mortgage, and are able to make cash payments in a short period of time, this may also be tempting to the sellers and give you an advantage. Once your offer is accepted, the seller’s lawyer usually has the prerogative to draw up the first draft of the contract, and once he does, he sends it to the buyer’s lawyer who can request changes. The sale period for second hand apartments is normally 2-4 months, during which the price is paid to the sellers in 3-4 installments. When you are buying an apartment which is not yet built, the duration of the sale is obviously much longer. This is a subject which many people find confusing. Let me try to clarify. When giving POA to an attorney to sign documents or take actions in your name, all you have to do is sign the POA in your attorney’s presence and he must certify that you signed before him. If however you are giving POA to someone who is not an attorney, i.e. a sibling, a parent, a friend or a mortgage bank then the POA must be signed in front of a notary (a notarized POA). If you wish to give POA to an attorney in Eretz Yisroel while you yourself are not here, you must sign the POA at an Israeli consulate, or get an Apostil certification (basically, a notary certifies your signature, and then gets a certification of his signature). There are Apostil services which offer pick up and drop off, so it can be done -for a price – without having to leave your home. When you are buying property, there will be additional documents, which you will need certified the same way. Notary’s fees are regulated by law, they all charge the same fee, depending on the service needed. Currently, notary’s charges NIS 160 plus VAT for the first signature and NIS 64 plus VAT for every additional signature they certify. People often call me asking where they can find an American notary. For instance if they have to sign a document for an American bank, it’ll often require certification by an American notary. However, American notaries are not licensed to act as notaries outside of the US. Officially they cannot certify documents here in Eretz Yisroel. The only way to get this done is at the American consulate. A possible alternative which often works but may not always, is to have the document certified by an Israeli notary. If he or she can produce the certification form in English, it may very well be accepted in the US. The final contract between you and the seller is prepared when your attorney and you are satisfied with the outcome of all the enquiries, the legal negotiations have been completed, the preliminary mortgage approval has been received, arrangements to make the first payment have been made and the date of transferring possession has been agreed upon. Both sides get together with their attorneys present, to sign the contract and the rest of the documents needed for the sale. At this point both you and the seller are legally bound by the contract. If you pull out, you risk a fine of 10% of the contract price. Taking possession of the apartment usually takes place about 8-12 weeks after signing of contract, although it can be more or less depending on what was agreed upon. 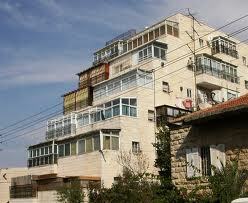 Buying property in the holy land is a tremendous zechus, bracha and opportunity. Still, before taking this very exciting step, make sure to take responsibility for getting the entire picture, or a good part of it at least. Don’t be intimidated – most issues and details can be worked out by an experienced real estate attorney, who will get you through the process smoothly. Wishing all buyers and sellers much Hatzlocha! Avner Slater is a real-estate law attorney, living in Ramat Eshkol with his wife Yardena and their children. He may be contacted at EsqSlater@gmail.com or by phone 02-5825210.Note: This article is not to be considered as legal advice or opinion. For legal advice, please contact legal counsel directly.